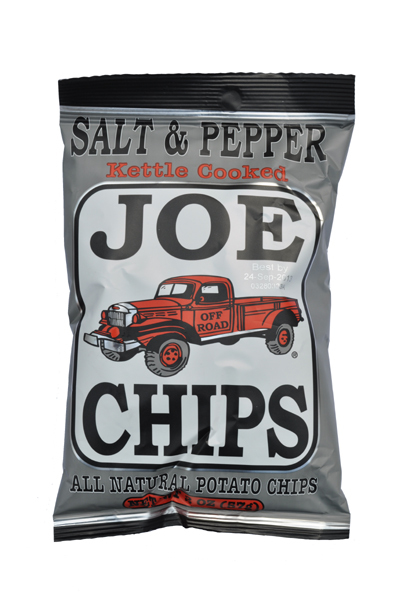 These were really crunchy Kettle Chips. They were not hard and brittle, or overly firm like some. Neither were they soft and smashable like some regular crisps. The crunch was sustained until a whole Chip was eaten. These were oil splattered, pale golden yellow Kettle Cooked Chips. There were lots of irregularly shaped Chips of a medium to small size - There were two that were screwed up into ball shapes. They also seemed thinner than many of this variety. The Nose Plunge Test revealed a warm fluffy potato aroma. It was very mild. 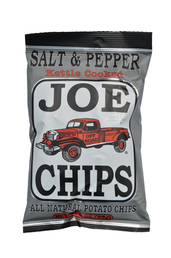 Joe Tea have not really been making Chips for long enough to have a Classic flavor, but we presumed this meant they were oily, mildly salted potato flavored. We were right.